← Tool For Tuesday: Everything We Do Out of Guilt Turns Into a Future Resentment. 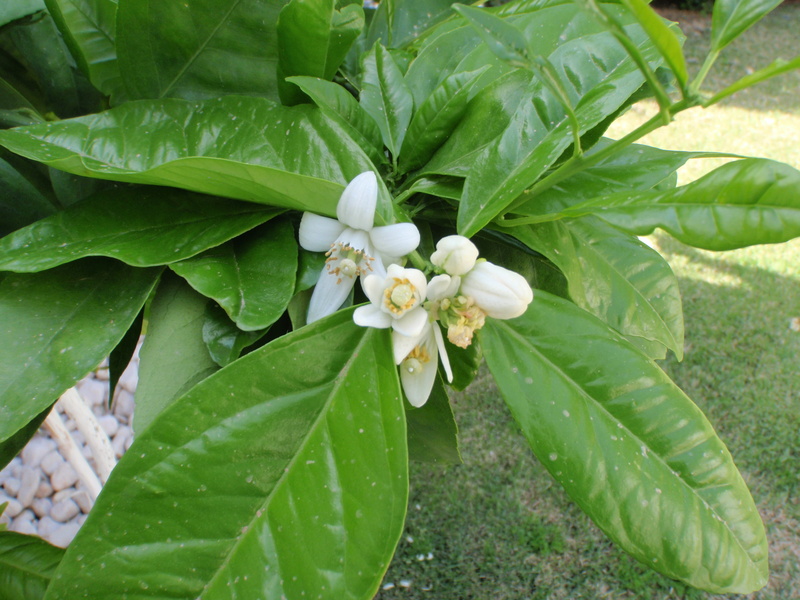 The blossoms on our orange tree. I wish I could also share the aroma. Divine. Here are nine other inspiring quotes for today to think about. Practice forgiveness. First forgive yourself. Then forgive everyone else. We each live with joys, sorrows, challenges, disappointments, fears, dashed hopes and regrets. Welcome to the human race! Every day, we can ask, please show me how to be in this world. Show me how to be me in this world. Everything in our lives, including the pain—especially the pain—can be used for our healing. I can be tough on myself but easy on others. Another person’s good fortune can remind us that magical, wonderful, amazing things can happen to anyone, at any time. This entry was posted in Acceptance, How to Change Your Life, Self-care and tagged healing, Hermann Hesse, inspiration, transformation. Bookmark the permalink. 8 Responses to Hermann Hesse: On Walking the Road to Reach Our True Selves & Nine Other Inspiring Quotes. דיאנה תודה. יפה מאד. קראתי וזה תמיד חומר למחשבה. Thank you, Haia! For all who can’t read Hebrew, she said Thank you for the material to think about! Ah, Hermann Hesse. I haven’t thought about him for a while. He was my bible when I was a teenager. Yes, Hermann Hesse was the man! I also loved carrying his book around, not only because I liked his writing but it was a great way to start interesting conversations with cute guys! SIDDHARTHA was one of my favorite books to read–“I can sit, I can fast, I can wait”–not quite such a favorite to teach to teens or explain to their parents. But we had some great discussions. The road Siddhartha traveled dealt with many of the key points of your post today. Thank you, Marylin, and thanks for inspiring my Tool for Tuesday on Unfinished business! I meant to get back to you a while ago. I hope things are well with you and yours. You mentioned you�re writing another book. What is it about and what stage are you at? We�ve had a long, cold winter � and it�s still here! The snow is still deep in my yard! Take care Diana. Lots of love and blessings. From: THE BEST CHAPTER Reply-To: THE BEST CHAPTER Date: Sunday, March 23, 2014 at 4:12 AM To: Liz Jansen Subject: [New post] Hermann Hesse: On Walking the Road to Reach Our True Selves & Nine Other Inspiring Quotes.